Emily was born in rugged bush land, close to the Eastern APY community of Mimili. Her father was a respected cultural lawman, and taught her and her two young sisters to live a traditional life. Emily did not encounter European settlers until she was a teenager. Emily and her family used to travel long distances by walking or occasionally hitching wagons to camels and donkeys, they would camp at night inside hand built wiltjas (shelters) in the bush, sleeping in the warm sand.The walk between Indulkana and Mimili regions took her 5 days, she recalls traveling this route many times to visit family. 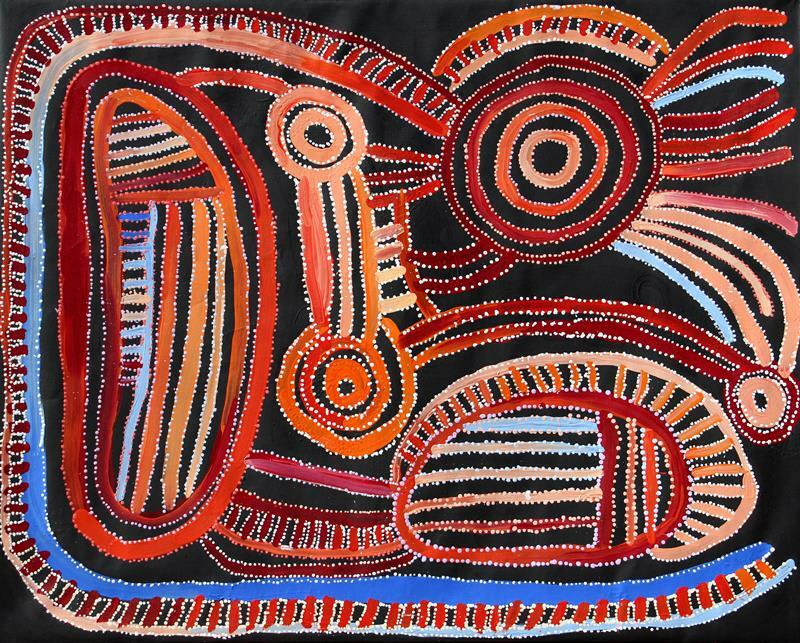 Emily’s powerful paintings depict the iconic waterholes, majestic boulders, and river beds she would cross on her journey.